This is my favorite of them all. Lucy is definitely one of my favorite host now. In this series, Lucy is challenged to try new things for 5 days, start from Monday to Friday. Like 5 days without social media, 5 days without phone, 5 days with one jar of coconut oil, and many more. My favorite so far from the series is 5 days with zero trash, in this series I learnt some ways to prevent my self to produce any trash, which I've never thought before. This travel series from The Smart Local is hosted by Christabel Chua. Christabel or known as Bellywellyjelly (such a really cute name, right?) is a Singaporean fashion, travel, and beauty blogger. This series will take you to many cool destinations, my favorite so far are Lucknow and Hokkaido. All of the videos were very well shoot and edited that will makes you dying to hurry pack your bag and travel. This series put my youtube channel video to shame, lol. First of all, Alexa's voice is one of major reason I watched this series. She is really great in this series, making me love her even more. I was brave enough to cut my hair back when I was still in high school, just so that I can look a bit like her, hmmm. In this series, Alexa will take you to know more about fashion industry and Vogue. My favorite episode so far is the latest one, How to get a job at Vogue pt. 2, in this episode Alexa met the digital team and design team of Vogue, from graphic design to website and social media analytic. It is always fun to watch the insight of a great company! If you don't like to hear Singaporean accent, maybe this series is not for you. But, I'm okay with it since I like the content, plus Shu An, the host is also very good in this series in my opinion. In this series, Shu An trying anything, from microwave food, weird beauty tools, to beauty hack. My favorite episode was As seen on Pinterest, in this episode, Shu An trying out some of pinterest hack to see if it is really work or not. As the title said, this series is all about life hacks. From beauty hacks, cleaning hacks, to tech hacks. Hosted by Rebecca Tan. You probably have seen some of these hacks on pinterest if you are pinterest freak. 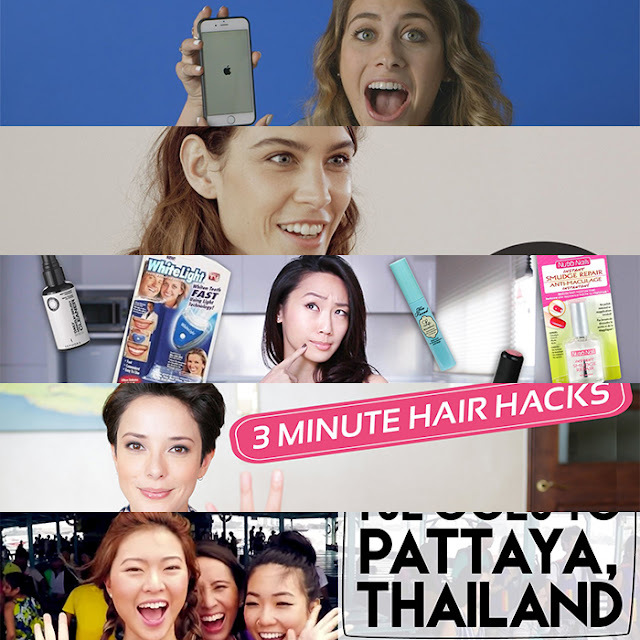 But, seeing the hacks in video is always so much more entertaining for me than looking just at pinterest. My favorite episode is leftover hacks, sounds disgusting? hmmm for me, not really. Clicknetwork has been my favorite youtube channel recently. I love watching Tried and Tested and Hack It, too! Almost all of the videos in the playlist have been watched!